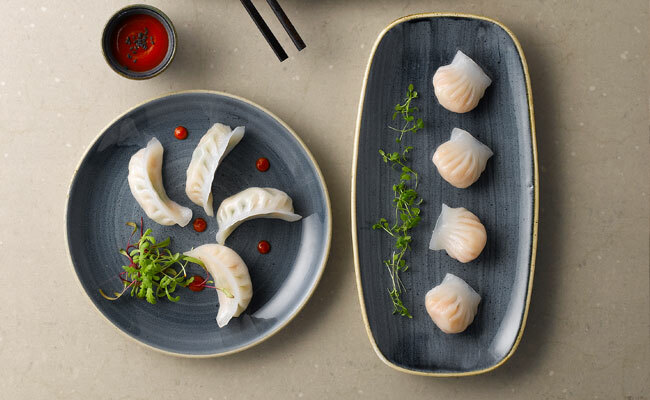 As one of our most popular contemporary crockery ranges, Chruchill Stonecast offers something for everyoneas one of their Churchill China ranges. The highly attractive modern features of this restaurant crockery are designed to reflect the changing seasons, and with a variety of Churchill China colours available, you can most certainly find a Churchill Stonecast range to suit your own individual restaurants style. Choose between a variety of exciting and unique colours or why not mix and match your Churchill China? With a rustic appeal and indefinable sophistication, your new Churchill crockery with bring a refreshing mixture of rural elegance and contemporary sophistication to your restaurant, hotel or other catering establishment and is guaranteed to give your dishes the real wow factor and have customers snapping and sharing pictures of them in no time! Made from the very highest quality materials, these Churchill Stonecast Crockery ranges are created by having hand applied paint with a sponge, given a rustic speckled finish and completed with a warm rustic brown applied to the rim. Not only attractive, you can rest assured that not only will your Churchill Stonecast crockery look great; Stonecast will also stand the test of time, even in the busiest commercial kitchens as this range of restaurant crockery is super-vitrified, making it extra tough. Our Churchill China ranges are highly popular amongst our customers who choose Churchill as their restaurant crockery of choice due to their high quality and attractive design that has been created to survive the test of time and the rustle and bustle of the catering industry. This extensive range of Churchill Stonecast Crockery is available in a variety of unique colours including Churchill Stonecast Duck Egg Blue, Churchill Stonecast Barley White, Churchill Stonecast Spiced Orange, Churchill Stonecast Peppercorn Grey, Churchill Stonecast Berry Red, Churchill Stonecat Mustard Seed Yellow, Churchill Stonecast Cornflower Blue, Churchill Stonecast Blueberry, Churchill Stonecast Nutmeg Cream or why not mix and match. If our rustic Churchill Stonecast Restaurant Crockery isn’t for you, why not visit our alternative Churchill China Crockery ranges online at Pattersons Catering Supplies today? Don’t forget, we offer FREE UK delivery on orders of restaurant catering crockery and Churchill China.